A flurry of calls for Virginian Gov. Ralph Northam to resign came Friday after photos surfaced of the first-term governor’s 1984 medical school yearbook page depicting one man in blackface next to another sporting a Ku Klux Klan outfit. 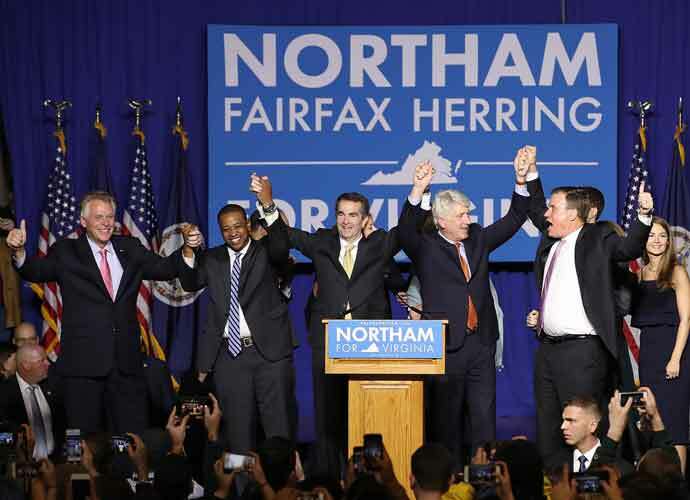 During a Saturday press conference that many believed would be Northam’s last, the governor, standing beside his wife and cracking an occasional grin, walked back his initial statement where admitted he was in the blackface photo. Instead, Northam said his earlier comments were mistaken and denied any previous knowledge of the picture or being apart of it. Later on however during a q&a, Northam admitted to donning blackface once before for a San Antonio dance contest that same year, only as a part of a Michael Jackson costume, bragging how he had won because of his moonwalk. He latest discussed how difficult it was to remove shoe polish from skin. However, many think it’s too late. Blowback from Democrats has been swift, with nearly all the Democratic presidential hopefuls, the state’s legislative Black Caucus, national leaders as well as African American activist groups across the country have called for Northam’s resignation. House Speaker Nancy Pelosi also weighed in on the picture calling it “racist and contrary to fundamental American values” before calling on the governor to “do the right thing” on Twitter.